Let’s take a look at the conditions and reports from this past weekend across the Northeast and go over what to expect for the coming weekend. 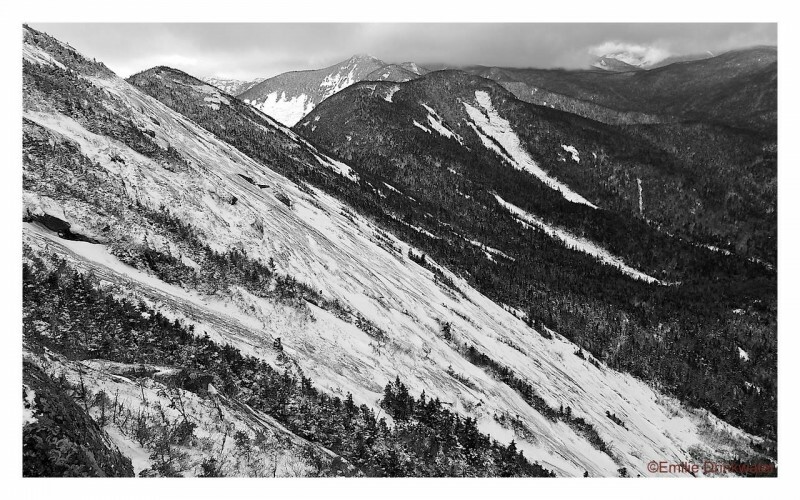 In Tuckerman Ravine, we saw a couple of climbers lingering around as we headed up Hillman’s Highway. 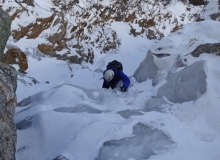 It was a fun day and we climbed some great ice! YES, enough to satisfy our hunger.. for now! 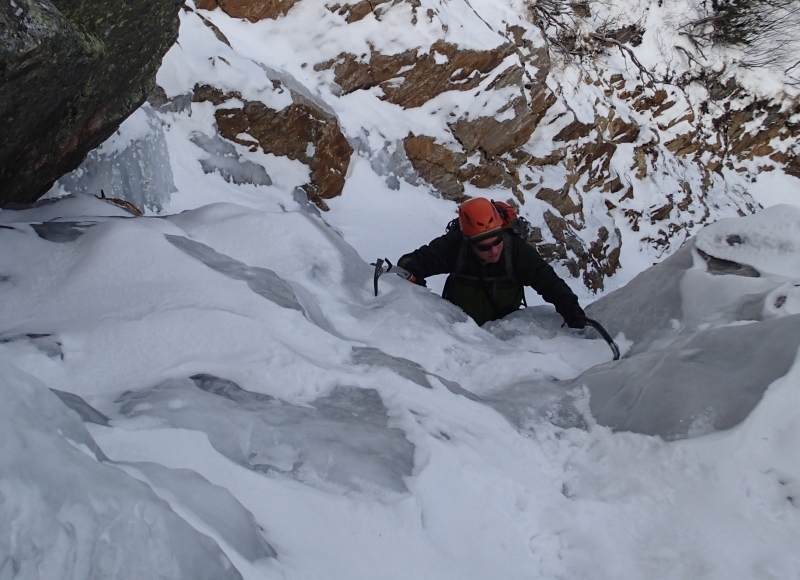 The headwall ice was coming in well. Here’s some photos from the day. 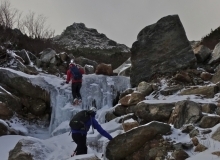 The weather forecast for the White Mountains is calling for a slight warming trend through Thursday, but temperatures dip back down to the low 20’s and high teens on the summit of Mt. Washington starting Thursday night. That’s accompanied by some snow flurries into Friday and the wind will persist all week. The warming trend should add some moisture in the high climbing areas as the snow melts slightly and the cold will return just in time to lock things back up! 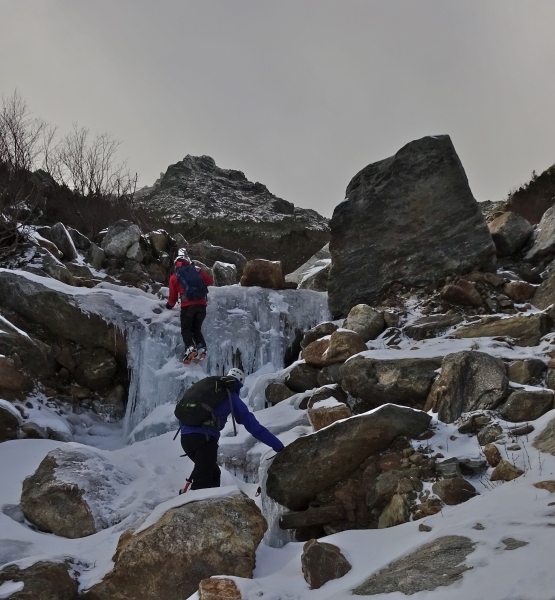 Don’t expect any climbable ice in the lower elevations this weekend, but if it stays cold that could change. Look high, climbs with northern aspects and in shaded areas for the best ice. 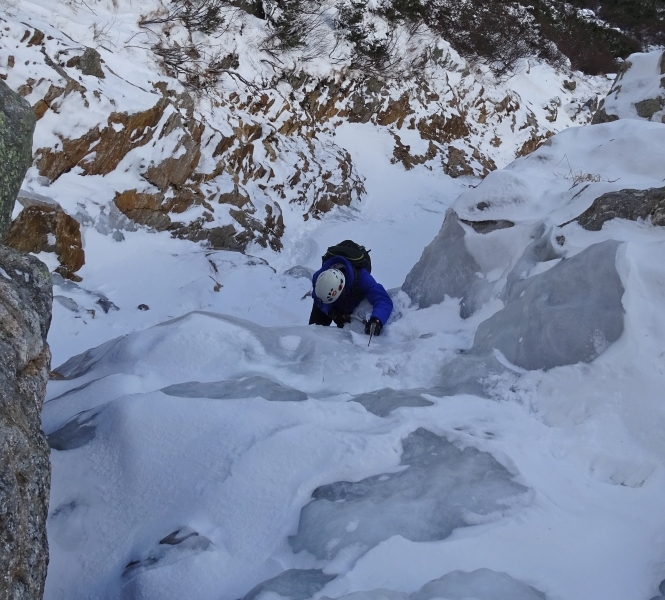 It’s looking like there will be more time to sharpen your drytooling skills as we wait for temperatures to drop below freezing, which doesn’t come until Saturday. Even then, it’s a small window as the temperatures creep back up on Sunday. There will be a rain/snow mix on Thursday night into Friday. 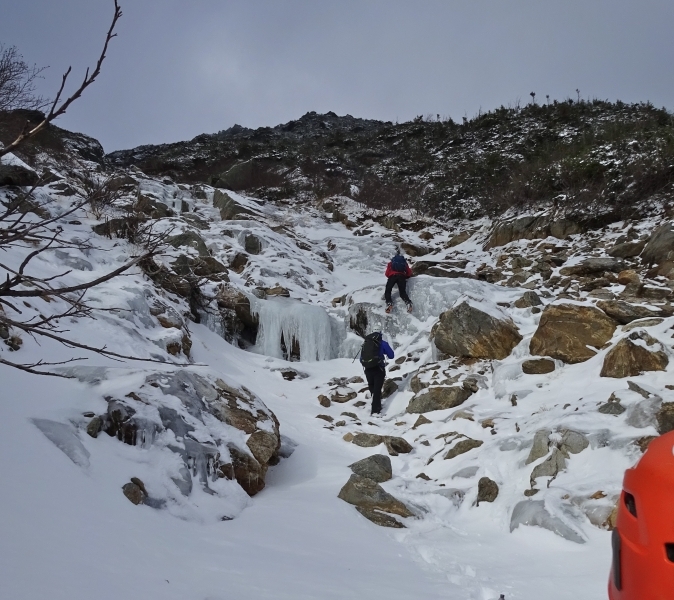 In the Adirondacks, Ian Osteyee of Adirondack Mountain Guides reports: “No real ice yet. There have been lines of thin ice forming on all the usual suspects, but nothing that has survived the warm days. 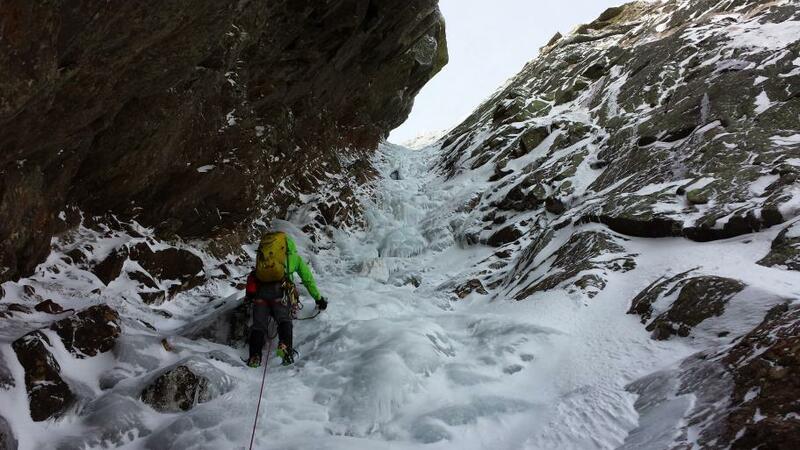 After tomorrow the temps will drop and I think we’ll see our first real ice to climb next week.” Once things get going, look out for Ian’s Condition reports here! 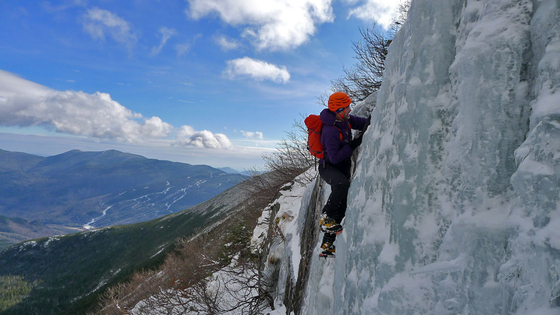 Jesse and Emilie, owners of Cloudsplitter Mountain Guides in the Adirondacks, just got back into town and are getting ready for the winter. Driving through Cascade Pass with temperatures in the mid 40’s on Monday didn’t raise many hopes, but it appears the early season skiers are enjoying some turns already on the Mt. Whiteface Toll Road. 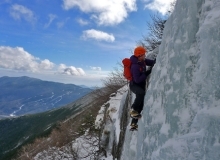 While you are chomping at the bit up in New York, you can pass the time reading a recent interview in this fun article, Ladies we Love, about mountain guide Emilie Drinkwater. For a look at the current weather, the Mountaineers Web Cam in Keene Valley will let you know if it is snowing or raining. 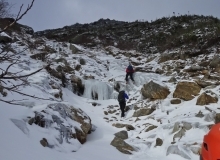 While the forecast in the valleys and passes will be similar to that of Smugglers Notch, the higher summits are looking at temperatures below freezing starting on Wednesday night and precipitation will fall as snow. So while the chances at Cascade Pass and Chapel Pond might be grim, the climbs in the backcountry alpine areas could be promising! 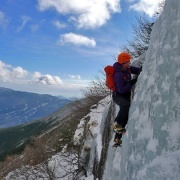 – For some more early-season stoke and thoughts on ice climbing, see these articles on early season ice. Get out and explore! You never know what you might find! And whatever you do find, tell us about it here on NEice! https://www.neice.com/wp-content/uploads/2014/11/Nick_Yardley_Hillmans_Highway_11-9-14.jpg 315 560 NEice Admin https://www.neice.com/wp-content/uploads/2017/10/2012_NEice_logo_oval_blk6-1024x350-300x103.png NEice Admin2014-11-12 09:56:432014-11-12 09:56:43Back to Business!